TL;DR: Not only has Dr. Amy Steinbugler’s book “Beyond Loving” won two prestigious awards, but it’s also challenging common misconceptions about race and relationships. As a sociology professor at Dickinson College, the topic of inequality has long been an interest of Steinbugler’s. Her latest passion lies in examining how people create and maintain relationships across inequalities. Steinbugler was kind enough to discuss the details of her innovative book with me, and here’s what she had to say. “Beyond Loving” does more than just hypothesize about how couples work through racial differences and how sexuality plays a role in it all. 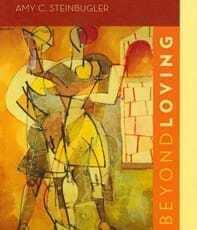 Steinbugler’s book “Beyond Loving” has already won two awards. 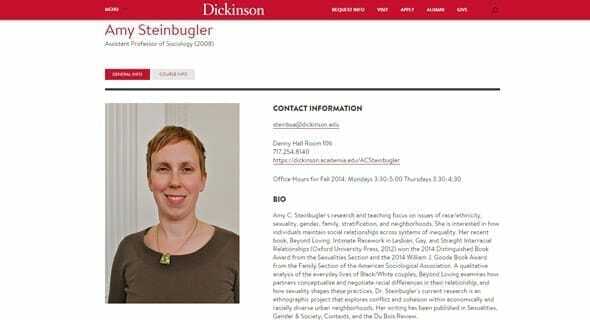 Doing what few do, Steinbugler takes an empirical approach, interviewing 80 partners from 40 interracial couples, half being heterosexual and half being homosexual, to get the data firsthand. “I wanted to look at what it means to be interracial and how the experiences of lesbians and gays might differ from straight couples,” she said. Using these interviews, Steinbugler shows that interracial couples are not racial mavericks and that they are far from “beyond race.” Race seeps into their relationships in plenty of ways — from deflecting strangers’ stares to deciding where to live to figuring out how to talk candidly about race with each other. She uses the concept of racework to explore the everyday actions and strategies people use to anticipate and deal with these experiences. Steinbugler hopes books like “Beyond Loving” will encourage people to reconsider what they think they know about race and relationships. Perhaps race will always influence our relationships, and maybe we don’t live in a post-racial society, especially with what’s been going on in Ferguson, like we thought? 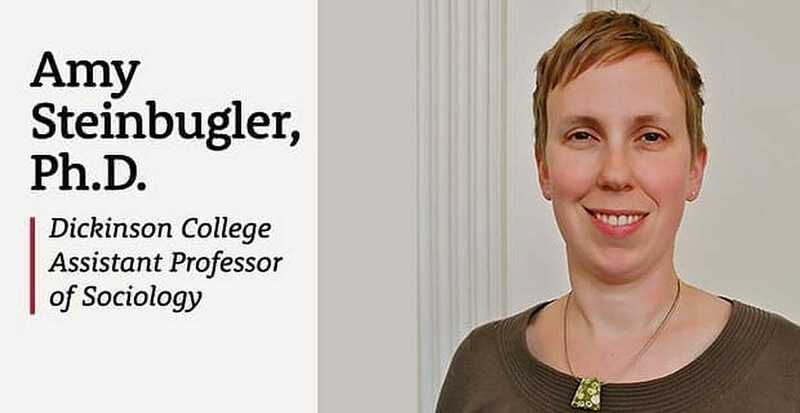 Dr. Amy Steinbugler’s work focuses on race/ethnicity, sexuality, gender, family, stratification and neighborhoods. And while Steinbugler feels grateful to have won two awards (the 2014 Distinguished Book Award from the Sexualities Section and the 2014 William J. Goode Book Award from the Family Section of the American Sociological Association), she’s most honored that “Beyond Loving” has resonated with people and challenged popular opinion. “Beyond Loving: Intimate Racework in Lesbian, Gay and Straight Interracial Relationships” is available on Amazon, and to read more of Dr. Amy Steinbugler’s work, visit dickinson.edu.